Each year, over 120,000 American manufacturing workers are forced to miss time due to on-the-job injuries. This lost time costs the industry close to $32 billion each year. Something needs to change, but what can be done? 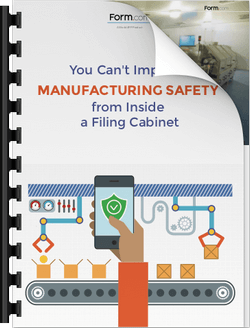 In this white paper, we highlight the many reasons why manufacturing safety leaders are turning to technology for the tools and insight they need to drive real change and ultimately improve on those numbers. We’ll also discuss how mobile devices and apps can help you reduce costs, mitigate risk, and continuously improve.